Near the beginning of The Park, protagonist Lorraine remarks that entering an amusement park involves moving between the realms of reality and imagination. This is true, especially for a game whose focus moves from domestic drama to waking nightmare in the time it takes to pass through a theme park’s gates. But, it also simplifies The Park’s main conceit: that our real lives inform the shape of our imagination. Those two sides aren’t separate. As the game proves through a horror story based on its main character’s darkest thoughts, our fantasies are clearly coloured by our personal experience. 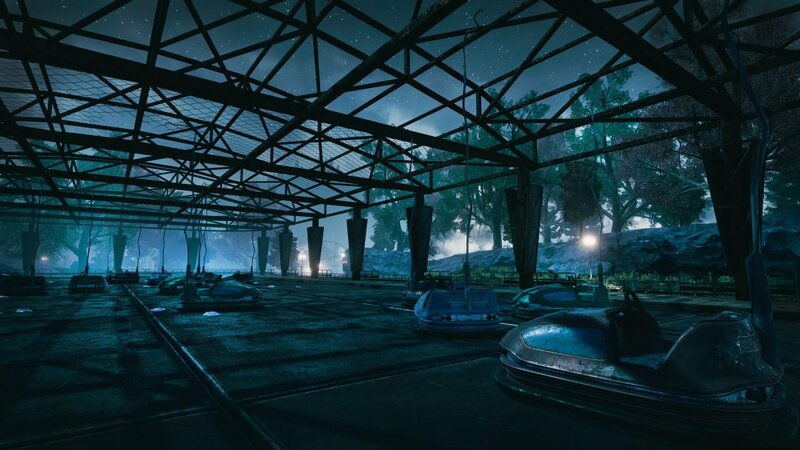 Though The Park is loosely connected to Funcom’s online RPG, The Secret World, it’s also a self-contained story that doesn’t require any foreknowledge. It begins with Lorraine’s young son Callum going missing inside Atlantic Island Park. Though the amusement park is closed for the night and the sun has set, Lorraine is allowed back inside so she can search the grounds for her child. 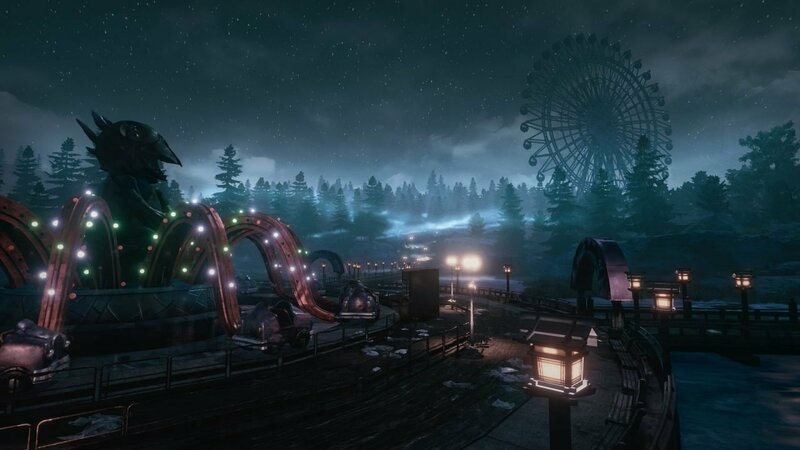 The player assumes her role, following Callum’s faint voice through deserted pathways and onto attractions like roller coasters and ferris wheels. The Park is a story-focused exploration game, concerned with narrative and establishing its eerie atmosphere above anything else. The plot is delivered through Lorraine’s inner monologue and the (overly familiar) convention of notes scattered throughout the environment. These are written by the park’s creator, employees, and, most tellingly, through police and psychiatrist reports. Some of this writing is overwrought—mostly in moments where Lorraine’s musing turns to abstract concepts or park workers pen reports in the style of budding suspense novelists—but it’s largely effective in communicating a story concerned with grief and the unspoken taboos of post-partum depression. 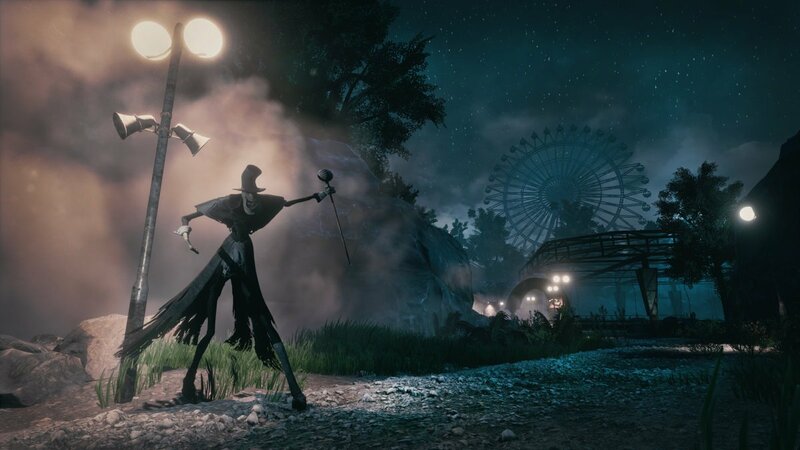 The central mystery—where Callum has disappeared—is effective at investing the player in the game, which is good, considering that The Park’s plot remains almost entirely opaque until its final scenes. As Lorraine combs the environment, she describes the experience of being a single mother. The player slowly comes to understand her background and family history as the story unfolds, but, as interesting as the process of discovery is, too many details are held back. This approach is obviously meant to make the game’s ending more surprising. But despite how the conclusion stands out as both horrifying and emotionally resonant, the plot suffers in a lead-up that can feel a bit aimless. Fortunately, The Park’s visual design helps pick up some of the slack in moments when the story lags. Though the player is often free to explore on their path through the game, the developer has cleverly constructed certain parts of the environment in order to directly frame their scenes. These are The Park’s most effective moments. Approaching a ferris wheel, the field of view is bordered by shadowy, fog-shrouded pines, and the spokes and seats of the ride loom above the player like an ominous giant. As Lorraine enters the house of horrors that serves as the conclusion’s setting, the player’s sense of freedom is constrained in narrow hallways and small rooms. 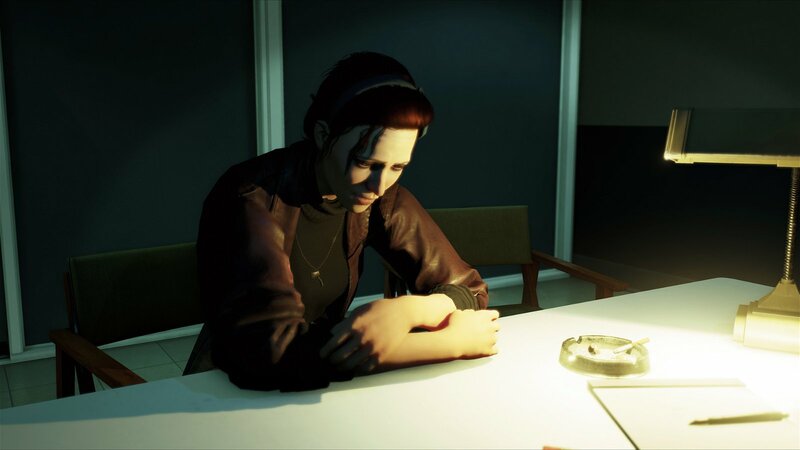 In these moments, The Park’s environments become either appropriately grandiose or nightmarishly claustrophobic, which does a fantastic job of making the experience itself reflect Lorraine’s increasingly tortured thoughts. If Funcom had been able to maintain this level of control over the game’s entire one to two hour runtime it may have helped focus the experience. As it is, The Park is a bit of a flawed gem—fascinating in its intent even as it’s let down in its execution. The game has a great, haunting story to tell, but it stumbles a bit too often in conveying its narrative to fully capitalize on the concept. There are plenty of reasons to admire what The Park gets right—and much to laud in its attempt to blend the real and imaginary in such a seamless, horrifying way. It’s diminished, though, by uneven pacing and a desire to increase the impact of an ending that would have been just as strong if the preceding scenes were more clearly told. These are The Park’s most effective moments. Approaching a ferris wheel, the field of view is bordered by shadowy, fog-shrouded pines, and the spokes and seats of the ride loom above the player like an ominous giant.